Enjoy All Summer Activities in FabKids Clothing & Shoes! Summer is FINALLY and officially here and my children couldn't be happier enjoying each day outside playing to their heart's content! My son is also enjoying some special Daddy/Son time as he heads out on the lake or shore exploring his newest hobby, FISHING! And what better to wear fishing this summer than this super cute Printed Fishing Outfit from FabKids! 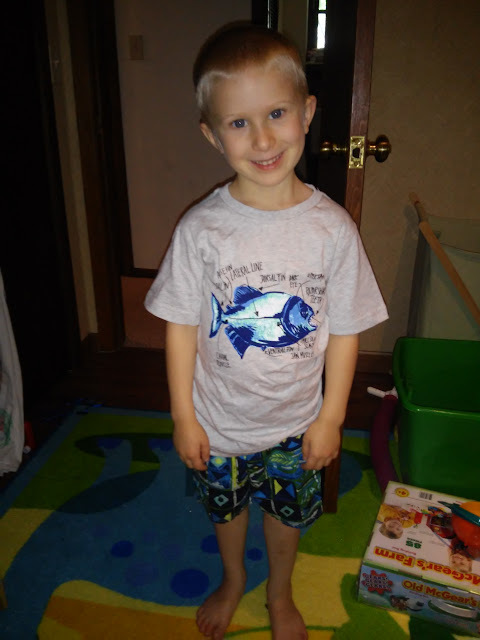 It includes the Fish Graphic Tee and Graphic Summer Shorts! 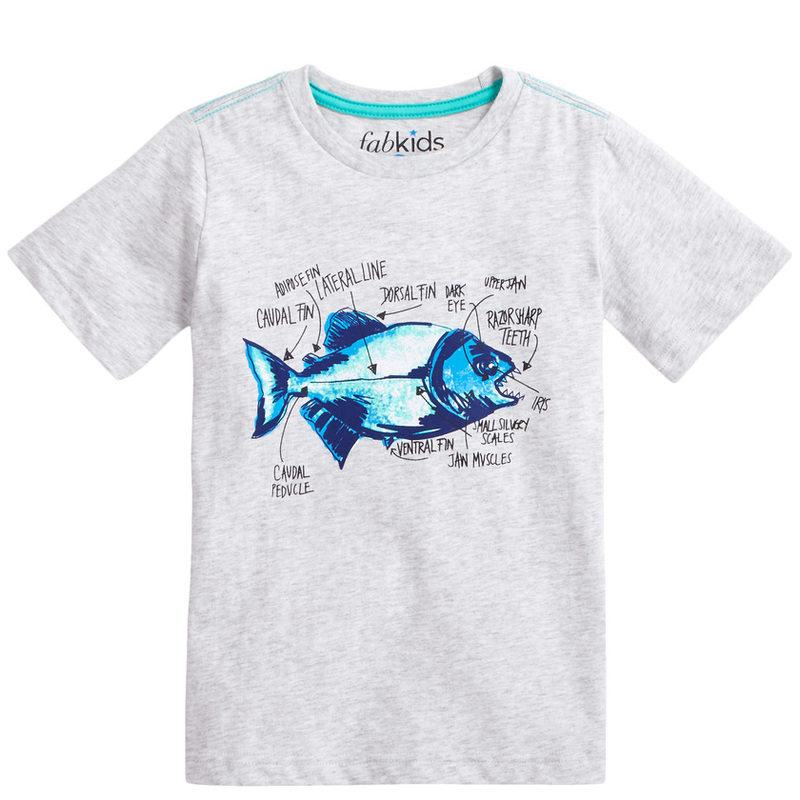 The fun Fish Graphic Tee features fun facts and an awesome Piranha graphic that makes this super soft short sleeve heather grey tee a sure win! 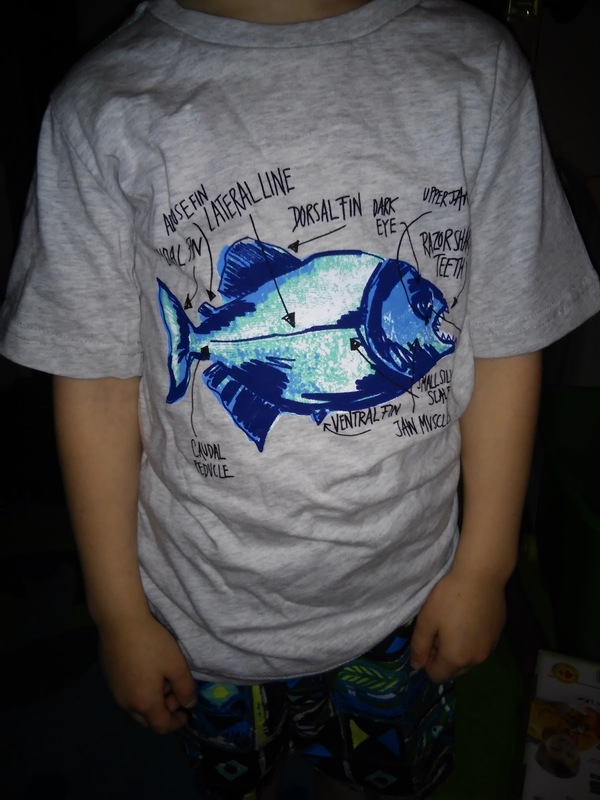 My son loves wearing this t-shirt fishing, outside to play, or pretty much anywhere and he loves learning all the facts that the shirt displays! And the matching shorts are so fun and colorful!! 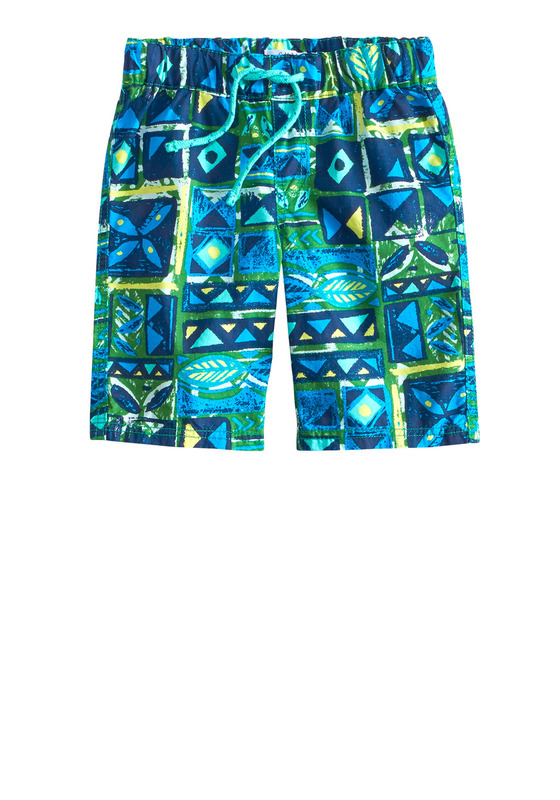 These colorful Hawaiian inspired geo print short feature an elastic waistband and faux drawstring with a velcro back pocket. These are so comfortable and perfect for summer! 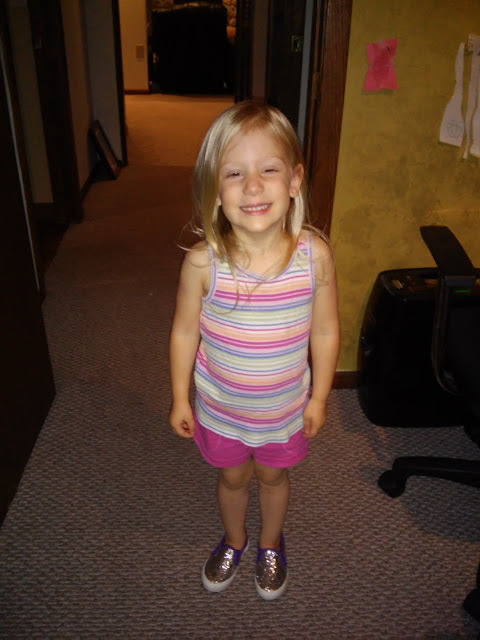 And for my daughter, she is slipping on the super cute purple Fab Glitter Slip Ons. 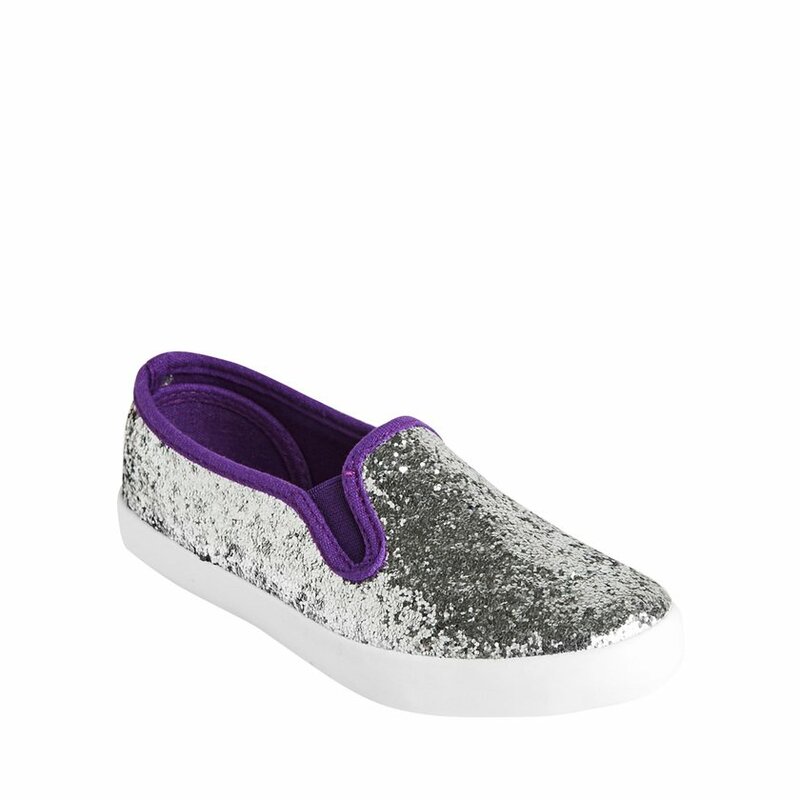 These slip-on glitter sneaker add a little fab to every step. It features a lightly padded footbed and is so easy to slip on! My daughter loves the color and the sparkle and loves wearing these around everywhere we go this summer! So whether you are heading out fishing this summer, playing outside or headed out on vacation, FabKids is here to outfit your kids in cute, summery outfits that you and your children will LOVE! You can purchase FabKids clothing from the FabKids website.